Salina Police continue to review surveillance video after two thefts were caught on camera at two different businesses. Salina Police Capt. Paul Forrester tells KSAL News that both thefts occurred within a span of 20 minutes of one another in the 2 o’clock hour on Tuesday morning. The first theft happened at Wal-Mart, 2900 S. 9th St., while the second occurred at Sam’s Club, 2919 Marketplace. In both thefts, a small blue Chevy S-10 pickup truck pulled up with the passenger getting out and cutting the lock off of a cage holding vehicle batteries. Forrester says that the thieves stole $400 worth of batteries from both businesses, resulting in an $800 loss. Both thefts were spotted by employees on surveillance video. 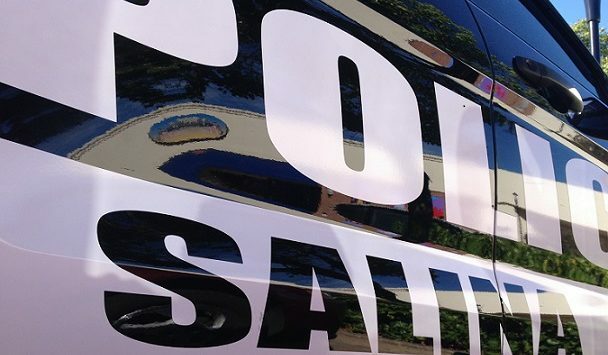 Salina police continue to investigate.